Voyage into the Sacred Lands of the Inca, and examine the ancient existence of a truly fascinating people. Witness first-hand the most obvious link between the past and present—in the beautiful people who welcome us to their country with open arms and smiling faces. 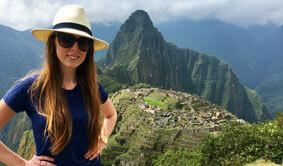 Fill out the form below and one of our Peru Experts will be in touch shortly.